In those early years of Shark Week, I wasn’t a Scuba diver yet, and never really gave any thought as to what the general public’s perception was towards sharks. I think I naively believed that everyone was like me and would be so be excited to learn about these amazing creatures that they would ignore the TV melodrama and hype, and would be totally gripped by fascination rather than by fear. Well needless to say, for the most part I was totally wrong! Once I became a diver and actually had the privilege and numerous opportunities to see them for myself in their natural environment, I became even more passionate towards them. I also became painfully aware of the plight of sharks at the hands of humans….from simple fear, to cultural practices regarding their fins. As I shared my various shark adventures and expeditions with others, I soon realized that there were still large segments of the population that are very different from me regarding their attitude towards sharks. 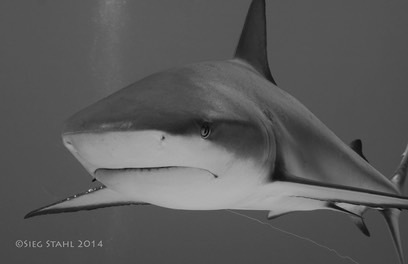 Fear, rather than fact, seems to prevail whenever the subject of sharks comes up. But based on the way sharks are portrayed, maligned, and sensationalized by the media, I am not really surprised. This year I was particularly disheartened to hear that my 9 year old grandson, after watching Shark Week, just revealed to his parents that he never wants to go into the ocean because there might be a shark nearby….. 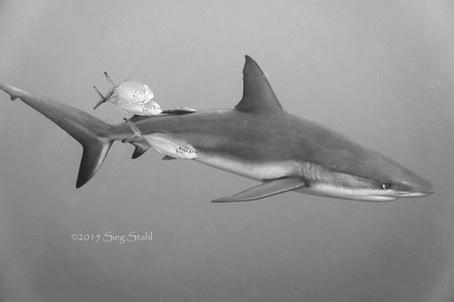 So what does my beloved Shark Week have to do with this sad situation for sharks? Is Shark Week part of the problem, part of the solution, or perhaps a little of both? 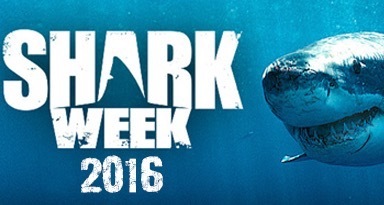 The 2016 season premier of Shark Week began on June 26th and is sadly almost over for this year. I look forward to it every year and always learn something new. But then I also have the ability to put the TV presentation and portrayal of sharks into perspective, even when confronted with names like; Deadliest Sharks, Shark Bait, Serial Killer, Night Stalker, Monster Mako, etc. Nothing really wrong with words like this……as long as you can see past the hype! Of course you and I can, but what about the general public? With so much emphasis on shark attacks, at face value, do these types of headlines and drama contribute to the enhancement or harm of the shark’s reputation? I often wonder about these kinds of things…. Of course there are also several great episodes that focus on shark conservation, behavioral studies, and generate awareness of the serious issues facing sharks today…..really interesting and intriguing content! 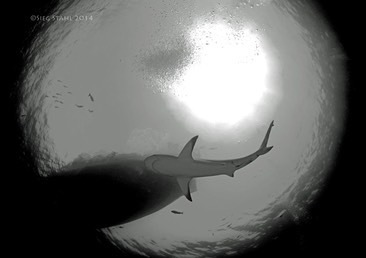 When you consider that there are also a number of very talented and gifted scientists and cinematographers that I admire that contribute their work to the show, what should we really think about sharks and Shark Week as presented by the producers? In my view, even the choice of hosts over the years has been all over the map from very credible and knowledgeable, to well, let’s just say, somewhat less than believable. There have been a few years when I was actually embarrassed and a bit angry because the hosts were so lame and superficial that I felt it took away from the validity of the programming and the importance of sharks. But perhaps that’s just me, and I just really need to develop thicker “sharkskin”! For years now, I have had very mixed emotions with each new Shark Week season. I think of it as an opportunity to celebrate, learn, and share my love of sharks, but I also know that ratings are important to the Discovery Channel, and the way to get ratings is to create sensation, drama, and a bit of controversy….even though I don’t think that controversy necessarily serves our sharks very well. So for me, Shark Week has evolved into somewhat of a love/hate relationship! On a personal level, I still love it, look forward to it, and can’t wait to see and learn more about sharks, but I also know that in an effort to get people to watch, the marketing and advertising has been sensationalized to the point that for some people it will just reinforce their fear and negativity towards sharks. And all this comes at a time when sharks really need our help! So once again, I’ll be celebrating sharks this week along with many of my diving friends, and I’ll also be recording all the new season episodes on my DVR. But at the same time, I’ll be wondering what message the general public will take away from the week…..are sharks merely mindless killers that deserve to be exterminated, or are they victims of cruel greed and human fear? Only you can decide, but do it based on knowledge and facts rather than emotion and the images created by the media. 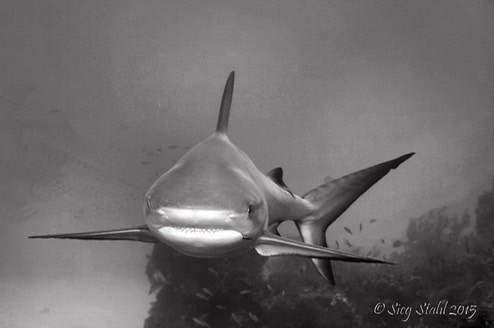 As for me, I look forward to more learning and diving with sharks in their natural environment…..